Just before ‘Ring season is often our busiest time of year, and this year has been no different. 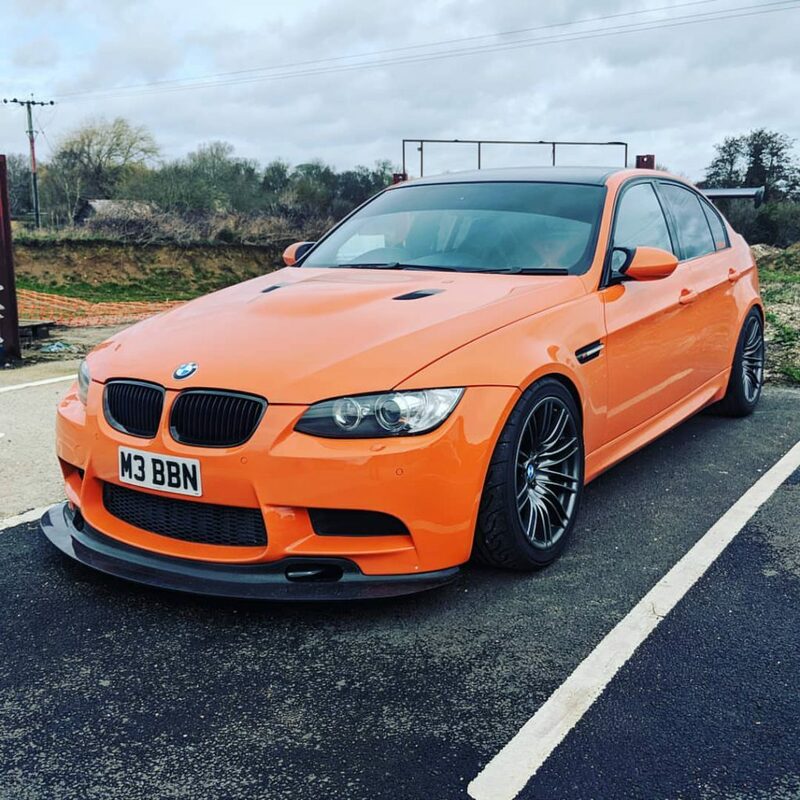 Ben’s last E92 M3 came in to us for rod bearings and various other jobs, but after the sad demise of that car, this E90 has been quite the blank-page build. Caged, painted Fire Orange and using much of the highly developed chassis setup from the previous car, it is quite the machine. On our list was new Millway Motorsport Subframe Bushes as well as new bearings for the Bimmerworld adjustable arms. 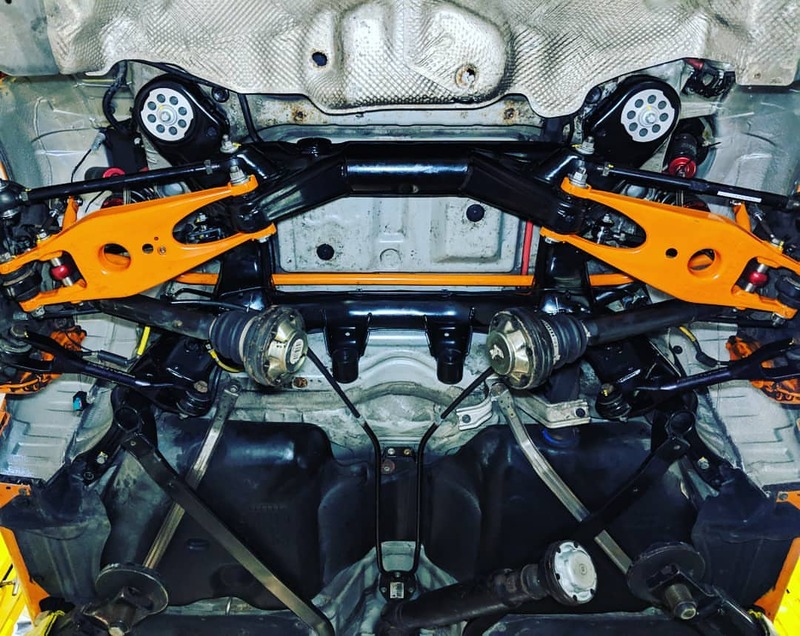 Ben sourced a replacement second hand subframe for the car, which we stripped and had powdercoated. 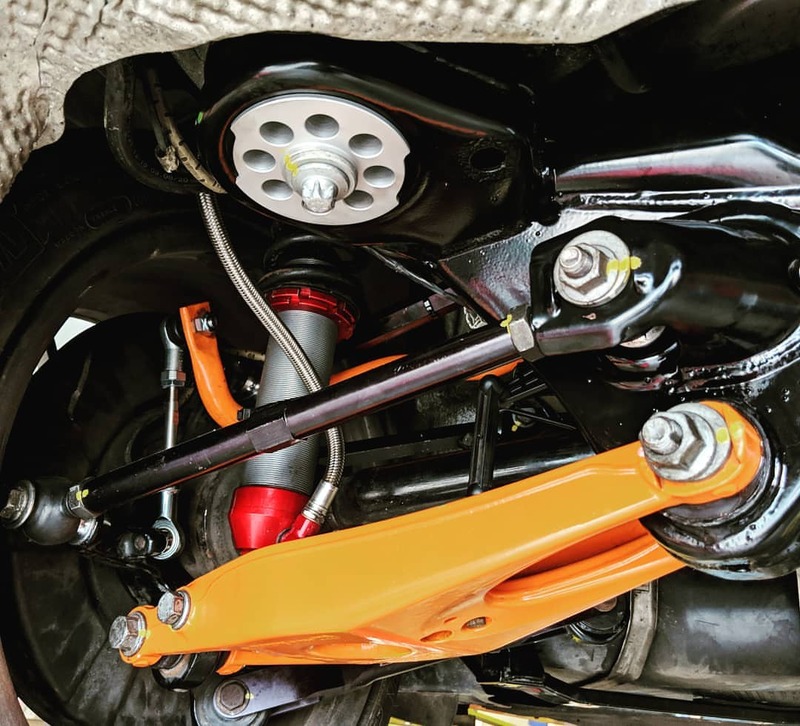 From here, we added the aforementioned Millway Motorsport Subframe Bushes as well as Millway Motorsport Differential Bushes and some fresh Powerflex Black Series lower arm bushes. Everything was cleaned, refreshed, regreased and reinstalled with the utmost precision. 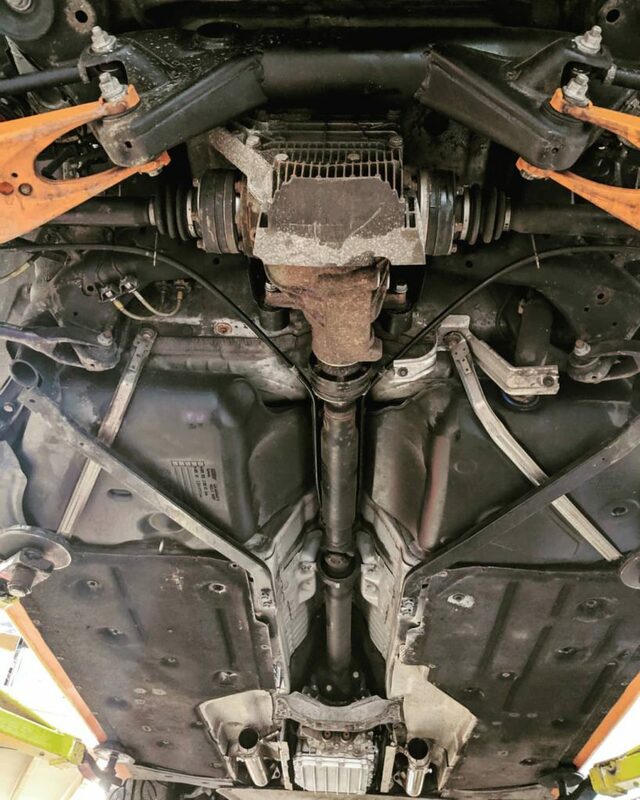 All of the control arm bearings were siezed in place but we worked everthing loose and fitted new bearings as well as boots where applicable – with some thought as to keeping future adjustments easy thanks to careful cleaning and greasing. 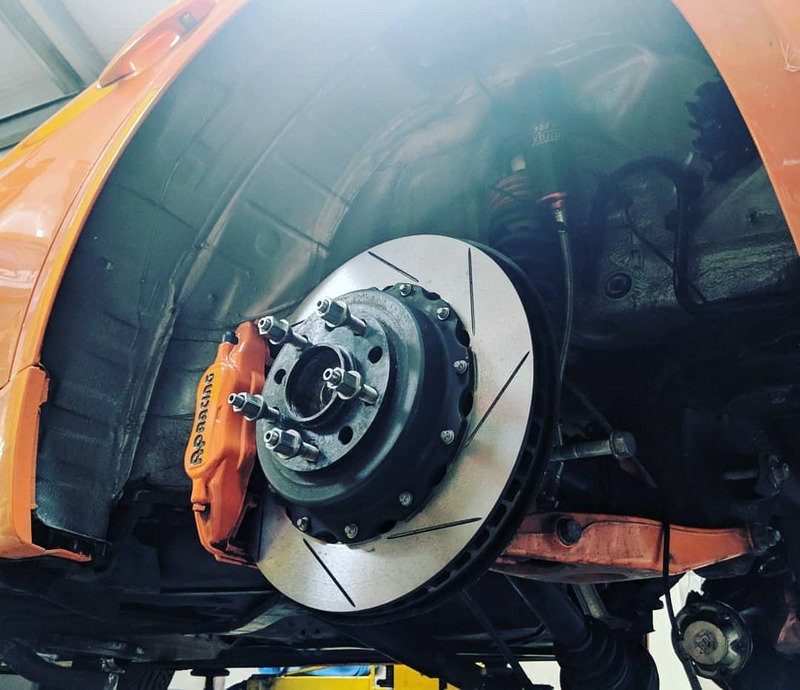 A finishing touch was Millway Motorsport Adjustable Rear Droplinks, a re-pinned Xenon levelling plug, correction of a few previous assembly errors and some tidying up. 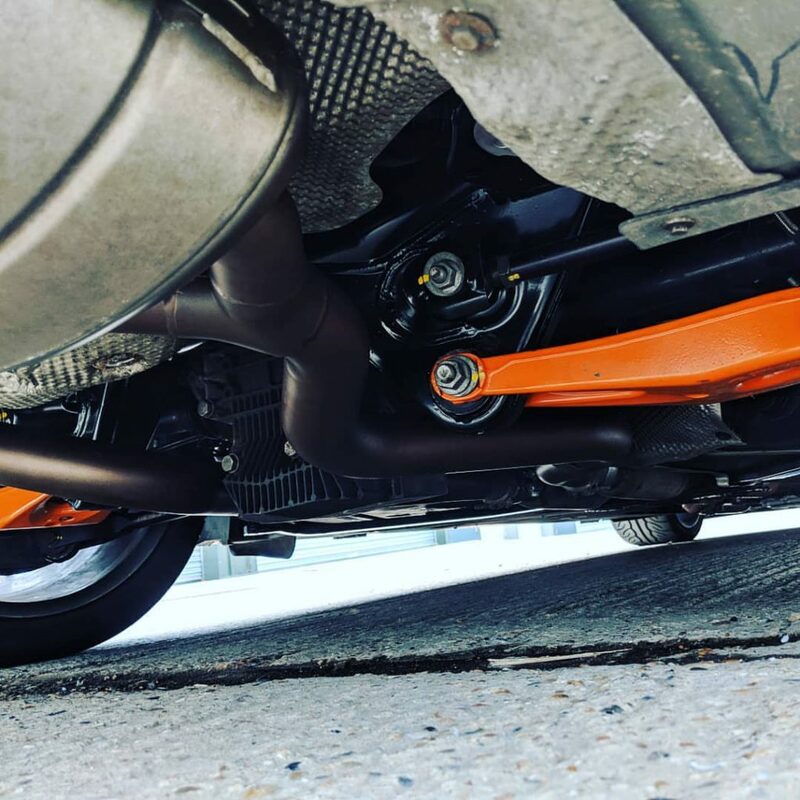 The result is one we’re very proud of – Ben added the finishing touch of an Akrapovic exhaust before the car left us. We can’t wait to see the new machine cracking out those lap times at the ‘Ring this season!